Jennifer Horvat brings 20 years of strategic management and marketing experience to her position as Chief Marketing Officer. Her team provides comprehensive marketing support to agents, assists the various company divisions with their individual marketing strategies, and manages the company’s brand advertising. Their mission is to create and maintain a professional look, feel and messaging about the company as the key brand ambassadors. Her passion is in problem solving, strategic thinking and innovating processes and procedures. 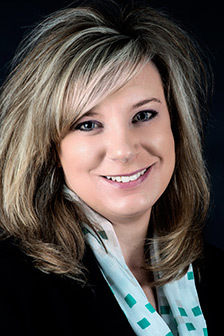 Jennifer earned a Bachelor of Business Administration from Davenport University with a specialization in strategic planning and management. Originally from Grosse Ile, MI, Jennifer and her husband relocated to Sarasota/Bradenton in 2011. Actively involved in the community, she serves on the Board of Directors for the Lakewood Ranch Community Activities Committee, and is a council member for the Michael Saunders & Company Foundation. She enjoys the Florida outdoor-lifestyle, especially on the golf course, at the beach, or just walking her dogs in the neighborhood.